Home / Miscellaneous / We Are Moving House! 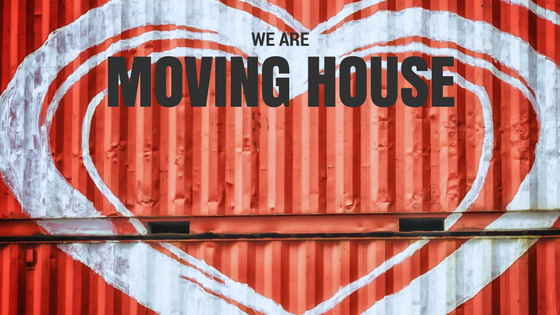 We are moving house at the moment, and this move is a bit more complicated than previous moves as it also marks a complete reshuffle of living arrangements in regards to some of my family members. As with any move, these few weeks have resulted in lost items, happy reunions with items that have been lost for several months, and a purge of old and too-small clothes. Moving house is a stressful time for anyone. As possessions are moved across, some adjustments have to be made in regards to cooking and cleaning (we had to cook pasta in a saucepan a few nights ago). There are worries about the new route you have to take to work (what is the traffic going to be like?? ), and if you are moving a substantial distance, children can feel apprehensive about new schools. Very aptly, I read this blog post the other day, which gives some great advice on viewing a move in a positive light. If you are, or soon will be, attempting a house move, I’m sure you can benefit from this post too. I am a firm believer that one’s attitude can make a huge difference in coping with difficult events in your life. The good news, for you dear Sinchies fans, is that I have kept a close eye on the location of the Sinchies stock, so if you wish to place an order, I should still be able to fulfill it and have it couriered to you in the same amount of time as usual.